In the California microgrid roadmap April 25 meeting, Navigant Research presented data showing that California boasts more than 120 existing, developing and proposed microgrid projects, adding up to 650 MW of peak capacity, with many using solar PV. More than 160 people participated in the workshop in San Diego, either in person or online, said Mike Gravely, deputy division chief of the California Energy Commission’s research and development division, which is hosting the meetings. The aim of the roadmap is to identify ways to commercialize microgrids in California. Just over 30 percent of the 650 MW of peak capacity is now online, according to a report by Navigant, which is under contract to support the research for the roadmap, according to Peter Asmus, Navigant associate director of energy. Nineteen percent of the projects are under development now and 41 percent are proposed projects. The most common source of distributed generation is solar PV, with a total capacity of about 296 MW, or 45 percent of the total peak capacity of the microgrids. 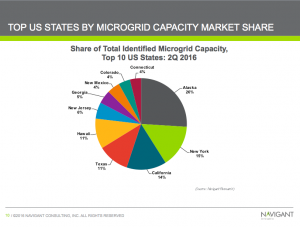 Institutional and campus microgrids make up the largest segment, with 34 projects totaling 185 MW or 28 percent of the total capacity, said the Navigant presentation. Fifteen projects have come online since 2015, said Navigant. 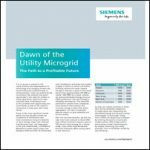 The microgrids can provide customer choice, taking advantage of local generation assets, deferring transmission upgrades, providing energy efficiency, and decoupling energy and power (volt/VAR control). Gravely had heard of these microgrid roles before, but said he was surprised by the wide recognition of these roles and their associated benefits. The work group that focused on technical issues discussed the California Public Utility Commission’s Electric Rule 21, which lays out the interconnection, operating and metering requirements for generating facilities that want to connect to the utility’s grid. “The CPUC has a rulemaking for making it more affordable for smaller systems right now to connect to the grid,” said Gravely. Finding ways to make such regulations friendly to microgrids is one of the goals of the roadmap effort. “We want to identify areas where we could do research to help move microgrids to eventual commercialization,” he said. Navigant’s research will address “broader issues impacting microgrids, noting how traditional policy tools supporting DER (i.e. net metering, FITs, tax credits and transactive energy) impact the goals of different microgrid segments and applications,” said Navigant’s presentation. Navigant will also identify case studies that “have been supported by unique or thought-provoking government support” that differ from projects in California and North America, said the presentation. Navigant will apply to all case studies a matrix ranking a number of value propositions, including reliability and resiliency, transactive energy, capacity and energy services, ancillary services, carbon footprint reductions, non-electricity services such as thermal energy and water; and linkage to virtual power plants and other DER ideas. The first two microgrid roadmap workshops focused mostly on looking at different technologies and examples of them, said Gravely. In this workshop, “We put down all the issues on the table and opportunities and different perspectives so we can turn them into the different elements of the roadmap,” he said. The idea for the California microgrid road map sprang from a report, “Microgrid Assessments and Recommendations to Guide Future Investment,” issued by the commission last year, and prepared by DNV GL. The commission has created similar road maps for energy storage and vehicle-to-grid integration. To learn more about the California roadmap effort, visit the new website. 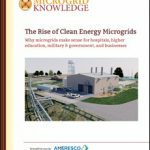 Track the latest news about the California microgrid roadmap by following Microgrid Knowledge on Twitter @MicrogridNews.